Little Bay Stampin': Retirement Party Part Three - And a Technique Video! Retirement Party Part Three - And a Technique Video! This is a technique I learned a while back from a fellow demonstrator Jackie Hart. It's called the "filter paper technique" - I've also seem a similar technique that's been called the "tissue paper technique." 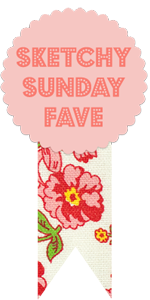 I like this better, though, because it uses the Creped Filter Paper from Stampin' Up! which holds up a lot better than tissue paper. The amazing texture that results from this technique is hard to capture in a photo, but trust me, you will love it! It's like you stamped on beautiful artisan handmade paper! And it's so easy! Check out my how-to video below, or over on my YouTube channel. Note that I used a few retiring products on this card that - as of when I'm writing this post! - are still available... but only while supplies last! I used the En Français background stamp (which I just finally bought myself and now it's retiring! 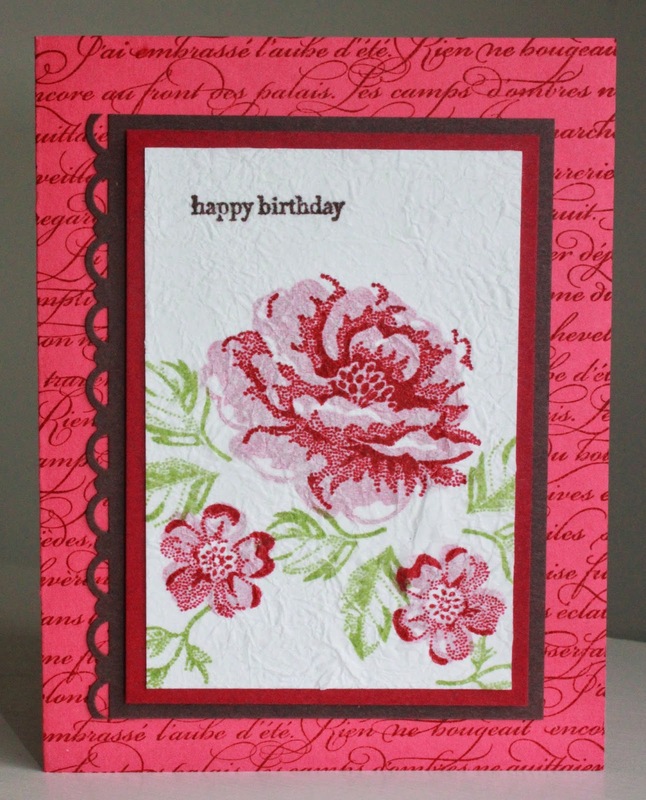 ), the Scallop Trim Border Punch, and Raspberry Ripple ink (the cardstock is no longer available). Simply awesome technique, it looks almost like if you stamped on cloth!!! Love it, thank you so much for sharing.